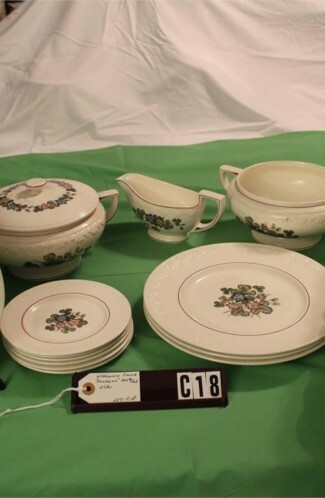 Vintage Royal Staffordshire Porcelain Honey Glazed Serving and Individual Bowls, by A.J. 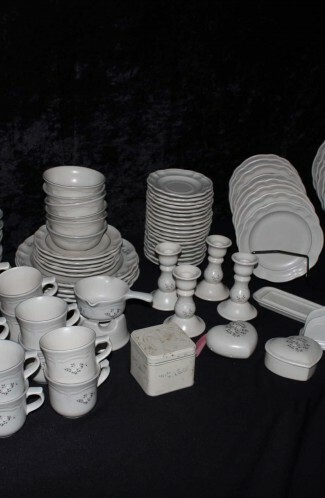 Wilkinson, LTD. Circa 1940's - (7) Pieces total. 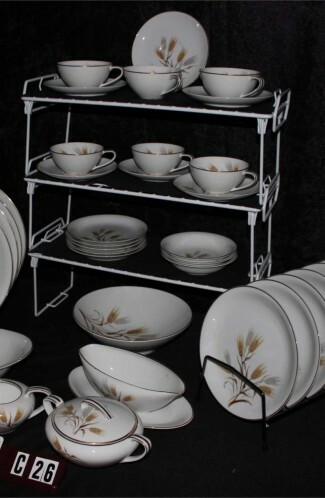 These Lovely Royal Staffordshire by A.J. 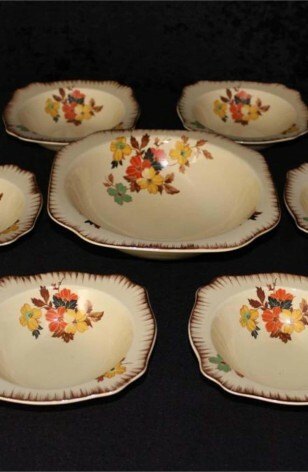 Wilkinson, LTD, Hand Painted Bowls have Autumn Florals, on a Yellow Cream Base, with Flowers in Orange, Yellow and Green, combined with Brown Leaves, and Brushed Brown Decorated Rim. This is both "Stand Out" Set, as well as "Stand Alone" Set.